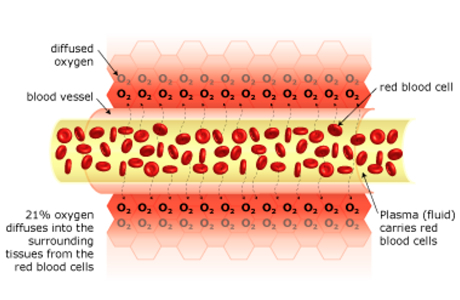 Under normal circumstances, oxygen is transported throughout the body only by red blood cells. 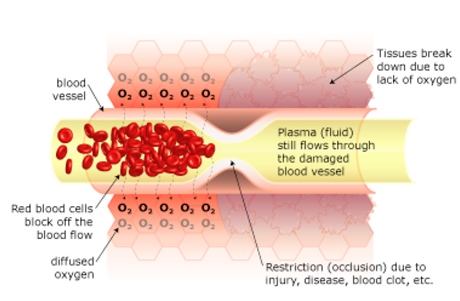 With HBOT, oxygen is dissolved into all of the body's fluids, including the blood plasma and lymph. 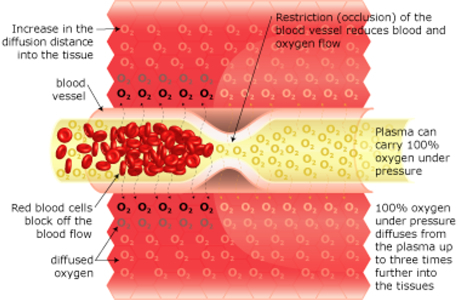 There is 20% oxygen in the air that we breathe, and our lungs transfer this oxygen to our red blood cells via haemoglobin. This can cause swelling, reduces blood flow and starves the area of oxygen. When this occurs the tissue, cells and organs begin to break down, degenerate and die. This is what causes problem wounds, diabetic foot problems and the long term tissue damage with radiation treatment. 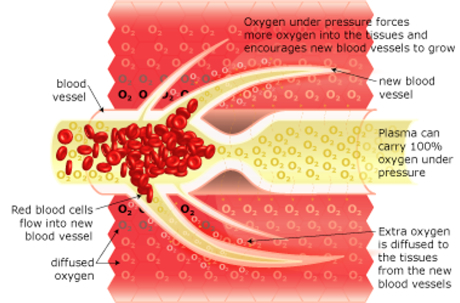 The pressurised environment helps to reduce swelling and discomfort, while providing the body with at least 10 times its normal supply of oxygen to help repair tissue damaged by the original occlusion caused by your medical condition.